My dad is in the city! We were supposed to have dinner at this new korean eat-all-you-can in Ayala Center Cebu called Kpub but my pharma class ended at like 6:30 and there were no taxis available because of the heavy rains plus rush hour hence, I had t ride a jeepney to SM and SM to Ayala which took me about an hour. 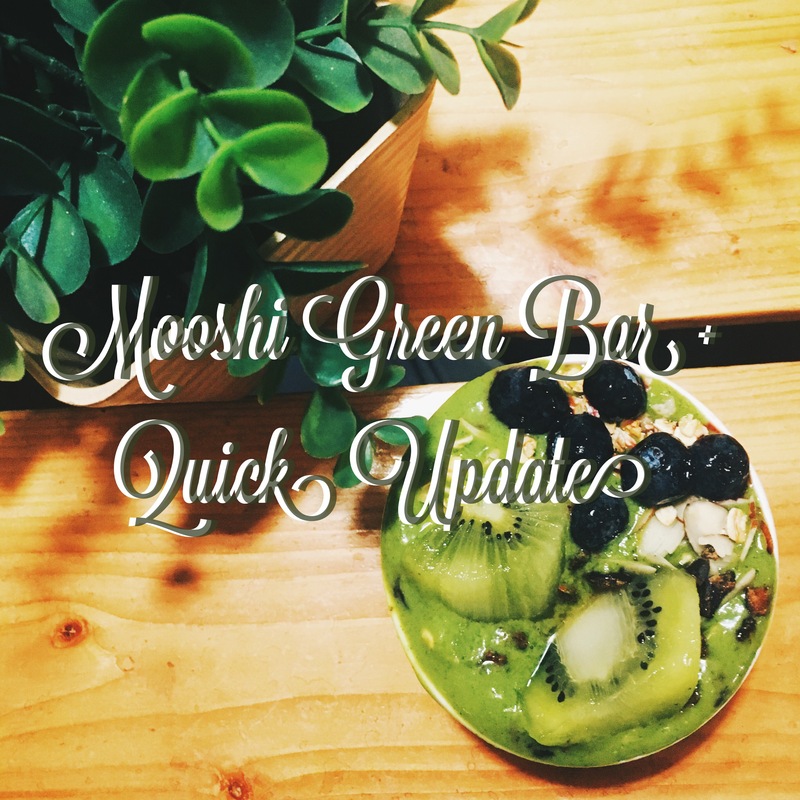 When I arrived, my dad and my brother had already finished eating and I just decided to get a smoothie bowl from prolly one of the best places to dine on healthy goodness; Mooshi Green Bar! If you haven’t heard of it, it’s a fresh smoothie/juice store that makes the yummiest smoothies and juices (I have tried Tonic befor but nothing beats this one). I was supposed to get a smoothie but I wanted something with a protein boost and they recommended the smoothie bowl instead. It was sooo good. The cacao nibs were a bit too bitter but I loved it anyway. Definitely a 9/10. I guess I just really wanted to do a quick update. I have a new instagram account btw in case you guys didn’t catch that one. I do not have pictures on it yet so I am really sorry but I think I’m going to post one tonight (if I don’t get too lazy). I’m supposed to be studying for my Electro Stimulation class because I have an exam tomorrow on Biofeedback and HPVC but here I am and I am writing this because why the hell not.